I have wanted to make my own clothes for ages, indeed I dipped my toes into the water years ago and successfully made a 50’s circle skirted dress. Sadly with one thing and another I didn’t venture any further. 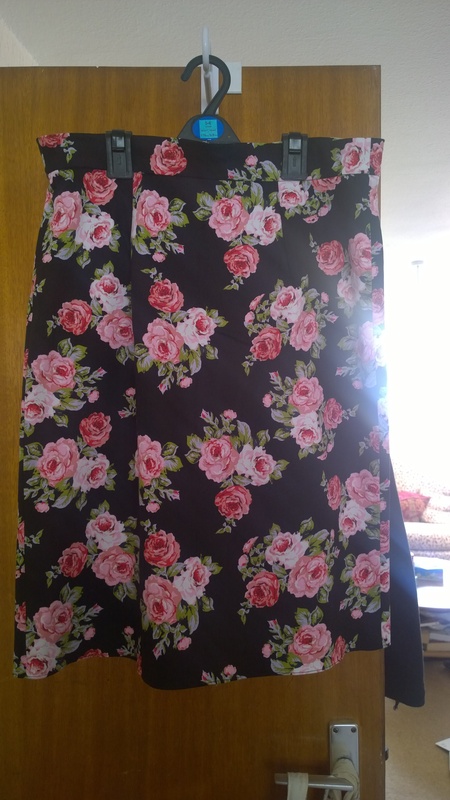 A couple of weeks ago, however, I went on a dressmaking day course where I began on a pencil skirt. Unlike some day courses which I’ve attended it was very relaxed, everybody worked at their own speed, there was no feeling of being in “the dunce’s corner” and everybody was very supportive. Now I know where there is an excellent dressmaking fabric stall (Darlington market, a bit of a trek but worth it) I am going to dig out the patterns that I have squirreled away over the years – mostly vintage repro ones – and have a try at some other garments.